Yayvo.com by TCS, Pakistan’s fastest growing eCommerce store, surpassed all its promises this White Friday. With an exceptional delivery performance, whereby 52% of the orders were delivered within 2 days of order placement, #YayvoWhiteFriday17 proved by far an event that brought smiles to the online shoppers across Pakistan all its fans, customers and shoppers alike! Yayvo.com started its White Friday sale event in the first week of November, where each Friday witnessed something different. #WhatThePrice was one of the major highlights for November, where over 4,500 retweets were received on four products, with the Honda CD 70 bike being the most in-demand product. A Pre-White Friday Flash Sale was also held on every Friday of November, where the Galaxy Grand Prime Plus was the fastest selling product. Yayvo.com announced the White Friday dates and schedule at the start of November! All those who didn’t take Yayvo’s #SabarNot campaign too seriously last year, were ready this year to make sure they don’t miss out on any of the amazing deals! As compared to 2016, the website traffic growth was the highest for the first day of the White Friday Sale on 17th November, growing by 750% as compared to last year’s first day of sales. This year, the customer base also grew by over 132%. Yayvo.com grew its sales volume by 4 times this White Friday as compared to last year. The two categories that grew by the biggest volume were Home Appliances and Smartphones with a growth multiplier of 3X and 5X respectively. With 20 million+ page views, the highest traffic on the website came from mobile devices at 70%. The highest-selling and the most popular brand was Samsung. EasyPay was the most preferred payment gateway by far for White Friday, used for 71% of total transaction volume. Allied Bank was the most preferred card used for transactions during the event, comprising 11% of the total card transactions. “For Yayvo.com our customer journey doesn’t end when an order is placed on our website, it only ends when it is quickly delivered to the customer. Since we were formed over a year ago, we have spent the last year developing our core infrastructure to ensure world class fulfillment and delivery right from the vendors shop to our customers doorstep. It is with this development that we have been able to deliver over 52% of orders within 2 days and 71% within 3 days to our customers! We have even bigger plans ready for our customers in 2018.” said Adam Dawood, Head of Yayvo.com. agreed, is black friday pay daraz pay 2 products leen aur dono hi do number theen, return pay gai howi hain aur abhi tak koi idea nahi kab tak koi response aaye ga. I am pretty sure you will get full refund including courier charges. They used word black friday clearly. !!!!!!!!!!! all false claims.worst service by #yayvo order on data 24th nov and still waiting for my product to be delivered. don’t worry soon you’ll be informed , your deserved product is out of stock. same happened with me .. pathetic service !! Online shopping is still immature in Pakistan. while on sale-days, Most of the shopkeepers increase the prices many folds and then put discount tags. Even after discount you can get the products at cheaper rates in the market as compared to daraz or other shoping websites. And in case you get cheaper on the website, there is no gaurantee that the product is in good condition. But the famous brands don`t use this technique. They give the real discount similar if you get from their shop. all false claims.worst service by #yayvo order on 24th nov and still waiting for my product delivery.when ever u called them just one lame excuse that ” we havnt get the product from vendor”. then why are u accepting orders? if u cant maintain your stock. it’s better to cancel the order and request for refund, which also takes 10-15days!! 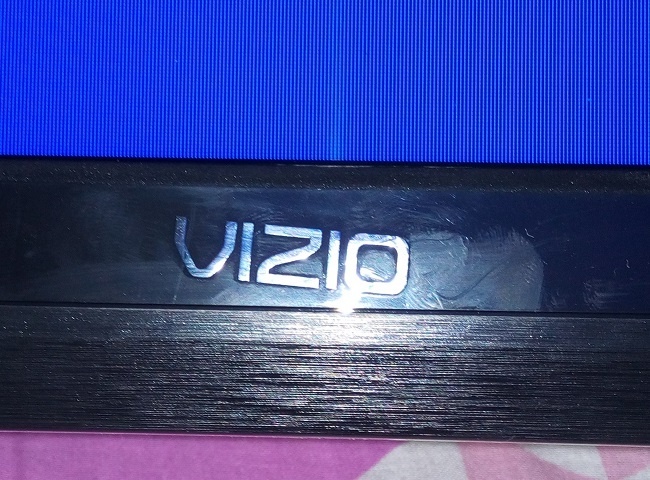 Yeah, about their “100% genuine products” claim, I ordered a Vizio TV from Yayvo and it is as fake Lady Gaga. The model number is nowhere to be found on the official Vizio site and when you turn on the TV, it says “Wondorshare Cloud TV”. Yes, Wondor with an O.
Yayvo is behind in customer care and refund as compare to daraz. haha same happened with me last year.. aur mene ab pakistan ki kisi website se shoping karne se touba kar li he. Utter nonsense! .. I ordered an item worth 35k on 24 Nov and I’m still waiting for it to be dispatched. The excuse they are giving me is that the vendor hasn’t supplied the product. First and last time shopping from Yayvo.